Photo of: East Coast of Ireland: Meath: Hill of Slane. 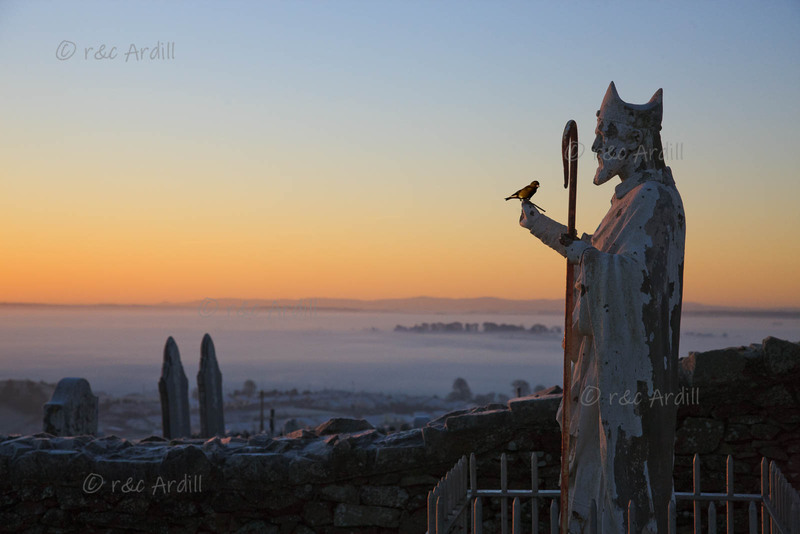 An image of St Patrick looking out over the Boyne Valley at dawn. The whole valley is a sea of mist. The hills in the far distance are the Dublin and Wicklow mountains. The trees peeping out of the mist in the middle distance are at the Neolithic site of Newgrange.